Hogsthorpe and Chapel Point Railway Bill 1875. 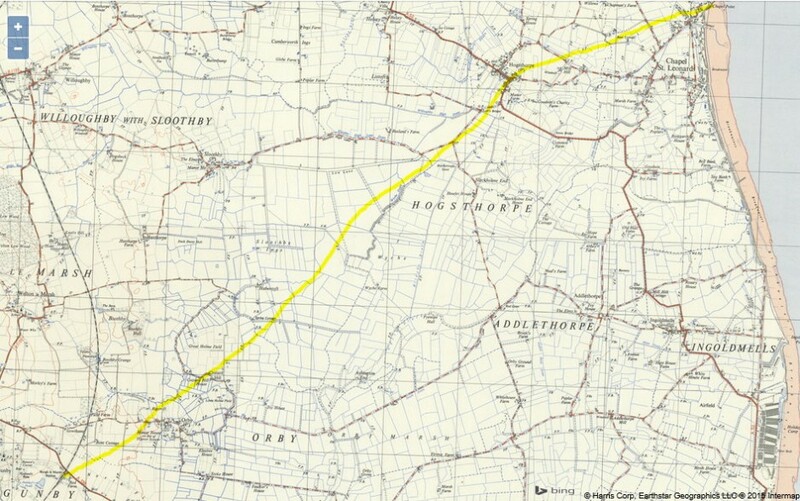 In 1875 a new Railway Bill was planned to create a branch line from Borough Le Marsh near to the station to run to and through Hogsthorpe and then on to Chapel Point, Chapel St Leonards. The Bill was formulated by Henry Chaplin and Edward Stanhope and a petition to bring a Bill before the house for the making of the railway in Lincolnshire was submitted on February 8th. 1875. The First Reading took place in the House of Commons on February 9th. 1875, a Second Reading was planned. The Second Reading took place on February 15th. 1875 and the plans were committed to record. A few weeks later, April 7th. To 8th. 1875. Sir John Kennaway reported from the committee of group 8 of the Railway & Canal Bills that the parties promoting the Railway Bill had stated to the committee that it was not their intention to proceed with the same. It was ordered that ‘the report do lie upon the table and be printed’. I cannot think why the railway was planned and I cannot find any further information. From Journals of the House of Commons. Volume 130. 15/2/1875 to 13/8/1875.